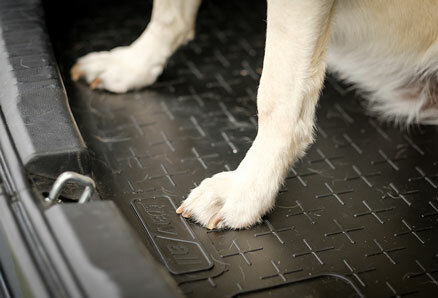 The Travall Boot Mat Liner offers outstanding protection from everyday wear and tear. It will also reduce road noise and, with its raised outer edge, prevent accidental spills from ruining your car’s interior. These custom-made Boot Mat Liners are infused with a long-lasting vanilla scent and are fully compatible with our Dog Guards and Dividers. When it comes keeping the boot area of your car in the best possible condition, we believe prevention is far better than cure. If you believe you’re spending far too long, vacuum cleaner in hand, trying to keep things tidy, one possible ‘cure’ is to equip your vehicle with a hardwearing Boot Mat Liner from Travall. If you think of all the punishment your boot has to endure, fitting it with a boot mat has to be a good idea. Heavy tools, the weekly shopping, bulky baby buggies, sports equipment and household waste for recycling – just a few of the hundreds of things we carry that could potentially damage a mat-less trunk. In selecting a material that’s tough enough to protect one of the most vulnerable areas of your vehicle, we have chosen hardwearing rubber for our Boot Mat Liners. This is tough yet flexible, and comes with an anti-slip surface design. 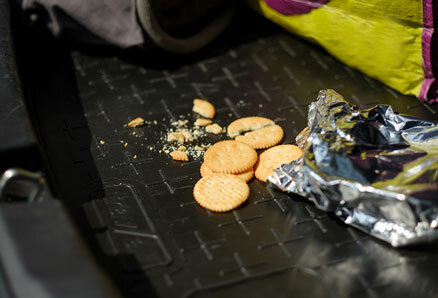 Our Liners also incorporate a raised outer lip, running along all edges, to safely contain any spills. We think you’ll find this particularly useful in wet weather too. 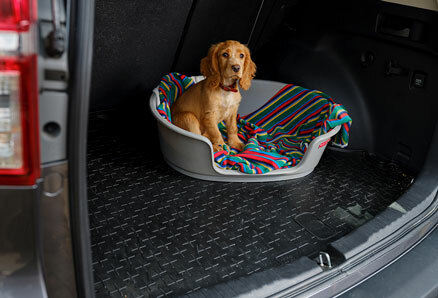 Just like our world-leading range of Dog Guards and Dividers, these tough Boot Mat Liners have been designed and expertly manufactured using the precise measurements of your make and model of car. Because they are custom-made, we can guarantee that they will fit perfectly in the rear of your vehicle. As well as a safe and secure fit, this means they can be removed very easily too, when the time comes to give them a shake or, if they’re really dirty, give them a hose down. Their bespoke design also takes into consideration your particular car’s lashing loops and fixing points. 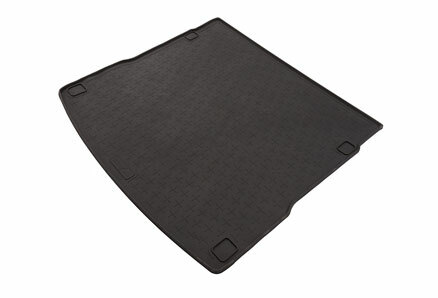 As well as providing outstanding protection, these premium Boot Mat Liners are proven to reduce road noise when you’re travelling without a parcel shelf in your car. They’ve also been impregnated with a long-lasting vanilla scent to keep your vehicle smelling as fresh as it looks.